The South-Korean chaebol finally announced what happened and what did they do on the Samsung Galaxy Note 7 after several months of investigation. The world’s largest smartphone maker is blaming poorly designed and manufactured batteries for the overheating problems that caused some of its Galaxy Note 7 phones to catch fire. On a tweet from Twitter, Samsung said that their commitment to customer safety and satisfaction has never been stronger, and the video below shows their detailed explanation and their response to what happened. According to Samsung, they have over 700 engineers, 200,000 Note 7 devices, and 30,000 battery units, as well as performed repeated device charge and discharge test to replicate the Galaxy Note7 incidents experienced by its customers. Samsung and the independent investigators said the problems were found in batteries from two different suppliers – the ones that started catching fire right after the phone’s launch in August and also those used as replacements. “I deeply apologize” – Koh Dong-jin, president of Samsung’s mobile communications business. 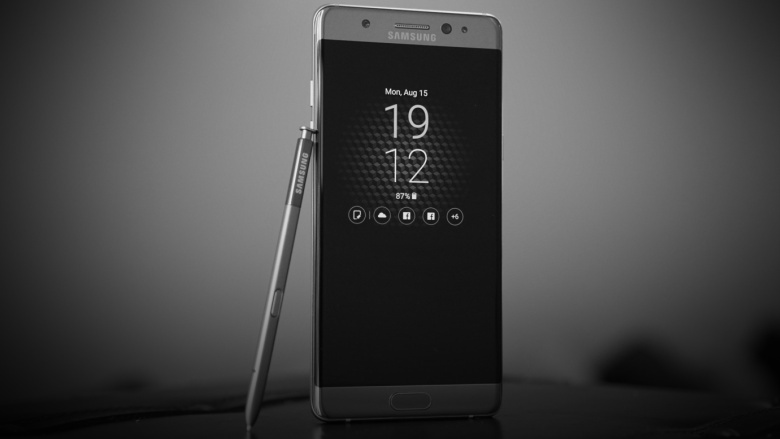 Problems regarding the Note 7 emerged immediately after its launch in August, with several reports of phones catching fire while other phones explode. Airlines and aviation authorities started warning passengers not to use or charge the devices on planes, even further, big airline companies have announced to ban them. 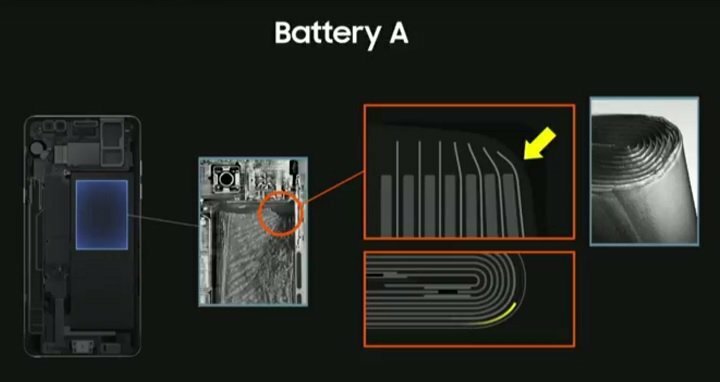 The investigation involves the two batteries manufactured by two different companies: Battery A (original) and Battery B (replacement). According to the findings of Samsung Electronics and independent industry groups UL, Exponent and TUV Rheinland, there are manufacturing defects between these two batteries. 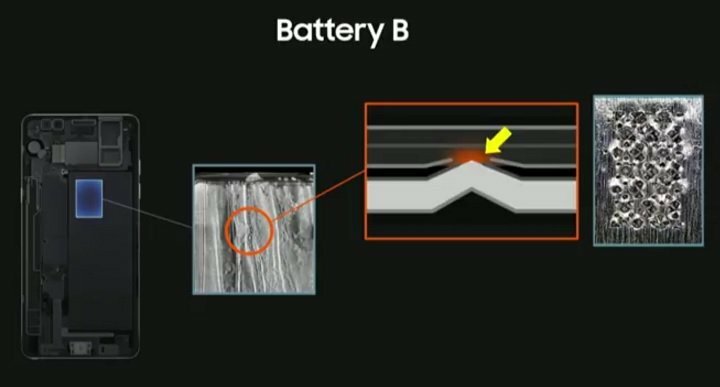 For Battery A (above), an internal cell faulting and thermal failure occurred due to the tight cell pouch design that didn’t have enough room for the electrodes. This caused the electrodes to bend at the upper corners, compromising its integrity, which led to an internal short circuit. While for the Battery B, it used a different cell pouch design with enough room for the electrodes. However, a new manufacturing flaw occurred (probably in its haste to replace Company A battery), this time in the electrode tab welding. Investigators found that the welding spots were sharp and relatively tall enough to bridge the distance between the positive and negative electrodes. In addition, they also found missing insulation tapes in one of the electrode tabs which increases the chances of an internal short circuit. “Today, more than ever, we are committed to earning the trust of our customers through innovation that redefines what is possible in safety, and as a gateway to unlimited possibilities and incredible new experiences,” DJ Koh added.